And Just Exactly HOW Retroactive Would That Be? Unproductive doesn’t begin to describe it. It’s all part of the Republican House’s pattern of payback politics — lawsuits,​ talks​ of impeachment​ and shutting down the government​, all because the President took common-sense action in the face of congressional gridlock ​to make our nation and families stronger. 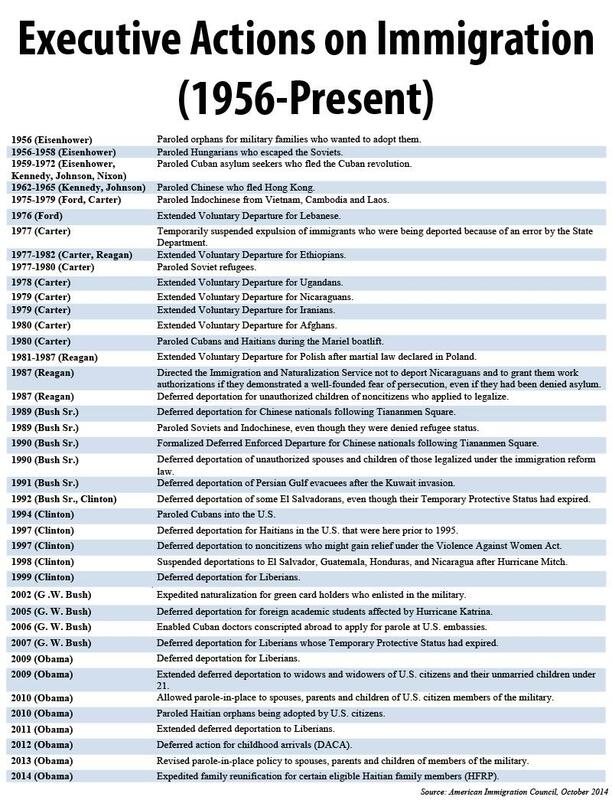 No provision of the Constitution, the Immigration and Nationality Act (of 1965), or other federal law shall be interpreted or applied to authorize the executive branch of the government to exempt, by executive order, regulation, or any other means, categories of persons unlawfully present in the United States from removal under the immigration laws. Declares any action by the executive branch with the purpose of circumventing the objectives of this statute null and void and without legal effect. So, they want to retroactively nullify executive action of the President. Really? Did they bother to read the bill they just passed? What are they nullifying? Actions just this President? Or, for curiosity’s sake, is their intent to nullify immigration-related actions taken by each and every President since 1956? It does after all say, that it applies RETROACTIVELY, to ANY such exemption made at ANY time. Talk about hypocrisy. Apparently, if it’s intent is to apply ONLY to actions by President Obama, it’s okay for them to be ambiguous in bill that they themselves choose to pass, but how dare those heathenish Democrats pass a bill the Republicans claim is ambiguous as to healthcare subsidies! That just cannot be and they’ll make sure it can’t be, by wasting taxpayer money to take >50 votes to kill it, by suing the President for not implementing on a timely bases that same bill they’re trying to kill, and by goading their benefactor buddies into pursuing nullification of various provisions of that bill through all levels of the judiciary up to and including, the Supreme Corporate (oops, I mean Supreme Court). The outright blatant hypocrisy of their ambiguous actions is immoral, unethical and UNchristian. Can KXL Pass the President’s Climate Test? At his Georgetown University address this June, President Obama laid down a bold marker on the Keystone XL Pipeline: he would only approve the project if it does not significantly increase carbon pollution. Keystone XL is the only viable way to exploit the Canadian tar sands — alternatives like rail could never fully replace the pipeline’s volume. Because of this, Keystone XL’s completion will dramatically speed the extraction of dirty tar sands oil — increasing the rate of production by up to 36%. Accordingly, Keystone XL’s carbon impact is massive. The project would add more carbon to our atmosphere over its lifetime than the combined tailpipe emissions of every car in America for one year. Now, just 6 months after the President’s promise, the conversation shifts back to Georgetown to evaluate these facts. what impact the pipeline’s carbon pollution will have on climate change. Tune in for the truth: the Keystone XL Pipeline is not in our national interest. Our federal government is being held hostage by a band of Republican extremists who want to radically reshape our country. But while Republicans have made high-profile attempts to defund President Obama’s signature healthcare law, that’s not their only target. Stop irresponsibly and recklessly demanding cuts to Social Security benefits as a precondition for ending the government shutdown and raising the debt ceiling. End the hostage-taking and leave Social Security, Medicare and Medicaid benefits alone! We can’t let them get away with it. Click here to tell Rep. Amodei that our Social Security system is not a ransom. Cutting benefits for those most in need just to give the very wealthiest Americans another tax break is outrageous enough. Demanding them as a precondition for funding the government and ensuring we don’t default on our national debt obligations is both reckless and irresponsible. Our Social Security system needs to be expanded, not cut. Cost-of-living adjustments already struggle to keep up with the rising costs that seniors face every day. If these Republican extremists get their way, everyone who receives Social Security now — or who will receive it in the future — will see less and less in return for what they paid in over their lives. I hope you’ll speak out today and tell these extremist Republicans to stop their hostage-taking. House Speaker John Boehner (R-OH) said the nation would default on its debt later this month if President Obama does not agree to GOP’s demands to cut spending and change parts of the Affordable Care Act. GEORGE STEPHANOPOULOS (HOST): Let me press that. There have been some reports that you have told your own members that you would be willing to put a debt limit on the floor that would pass with democratic votes, even if it didn’t get a majority of the republican caucus. Is that no longer true? 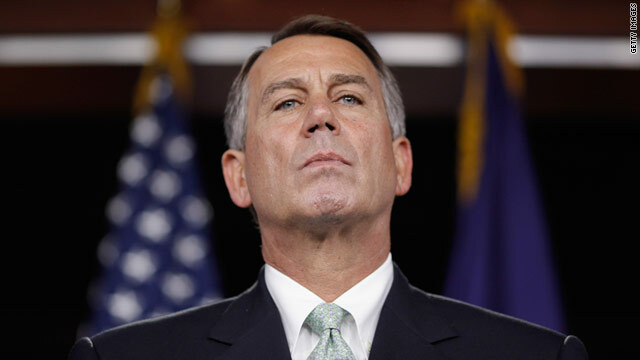 BOEHNER: My goal here is not to have the United States default on its debt. My goal is to have a serious conversation about those things that are driving the deficit and the debt up and the president’s refusal to sit down and have a conversation about this is putting our nation. STEPHANOPOULOS: He continues to refuse to negotiate, the country is going to default? BOEHNER: That’s the path we’re on. The president canceled his trip to Asia. I assume — he wants to have a conversation. I decided to stay here in washington this weekend. He knows what my phone number is. All he has to do is call. Since walking away from two so-called grand bargains in 2011 — which would have reduced the deficit by increasing revenue and lowering spending on certain entitlement programs — Boehner and other Congressional leaders met with Obama to discuss the standoff on Wednesday, though no deal was reached. This material [the article above] was created by the Center for American Progress Action Fund. It was created for the Progress Report, the daily e-mail publication of the Center for American Progress Action Fund. Click here to subscribe. Debunking the Republican lie that health insurance costs have skyrocketed under Obama. Maybe they just have trouble with math?